The genuine HP RM1-3761-000CN fuser unit is officially designed by HP to keep your laser printer running smoothly. 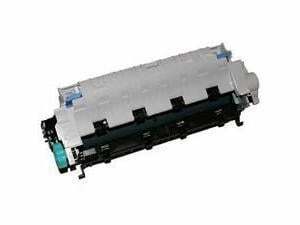 Made from genuine HP parts, this original HP RM1-3761-000CN fuser unit operates between 220-240V and is responsible for bonding toner to the page by applying heat and pressure. Acting as a replacement for a worn or faulty fuser, this HP RM1-3761 fuser unit will restore high performance from your laser printer and rectify problems caused by a poorly functioning fuser such as paper jamming or uneven print coverage. Providing durable and dependable operation, the HP RM13761 fuser will extend the life of your laser printer for many pages to come.